Holy cow- it's date night. Not only date night, but it's getaway time. We get a date, in another state, for 24 hours kid free. I can't wait. I've mentioned before that Soren surprised me with tickets to Maroon 5 in Nashville for Valentine's Day and it's already here. Kudo's to him for keeping the surprise a secret for so long because I haven't had to wait long at all to cash in my gift. I didn't buy anything specific for the trip- don't really need too- but I have been having a hard time deciding what to wear that isn't all black. Or all gray and black. Kind of like today's outfit. We're off to catch a plane! Keep up with our trip on IG and feel free to send your last minute travel recommendations our way! Enjoy your weekend! 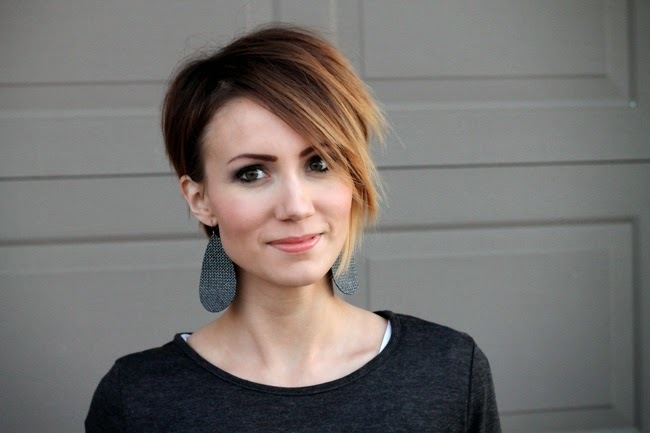 PS- Did you catch the makeup tutorial I posted for this date night look yesterday? With the Oscar's last weekend and our upcoming getaway to see Maroon 5, I thought it would be fun to share a dressed up makeup look with you. 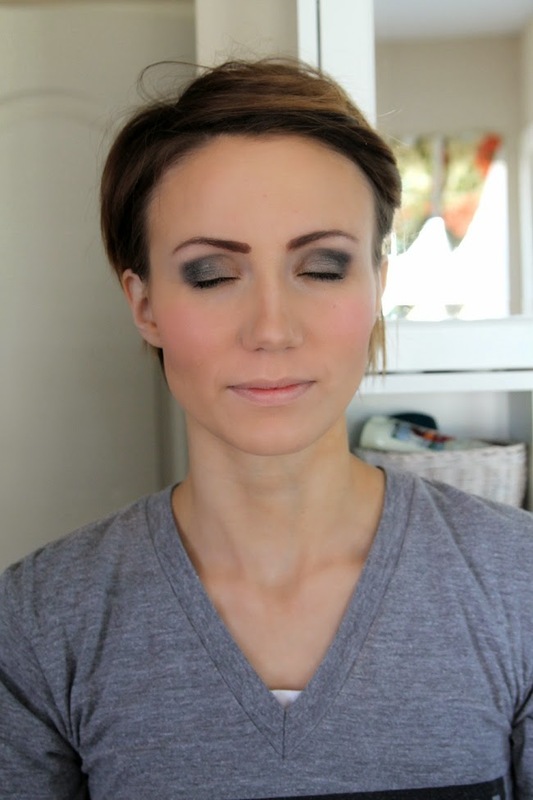 I've been trying to put together more makeup tutorials so today I'm sharing a dramatic, smokey eye that you can recreate for any upcoming night out or fun event. 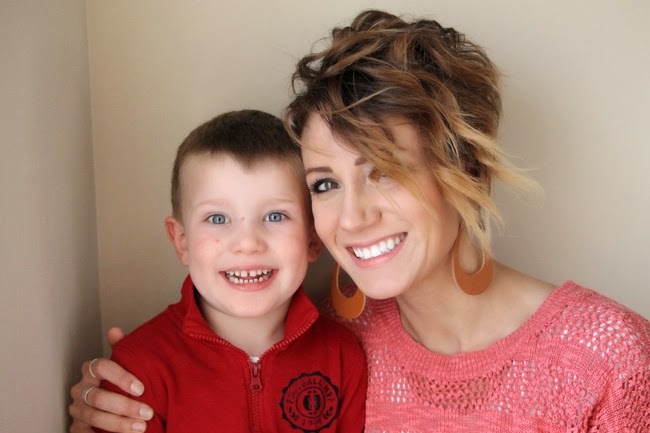 This is my husband's favorite makeup that I wear and definitely my go-to if I am dressing up for an evening out. To start- you'll need to gather your tools and supplies. For this look I used my favorite brow pencil, brow power, shimmery eye palette, eyeliner and eyelid primer. You'll also need a base shadow brush, crease brush, brow brush and Q-tips Precision Tips. 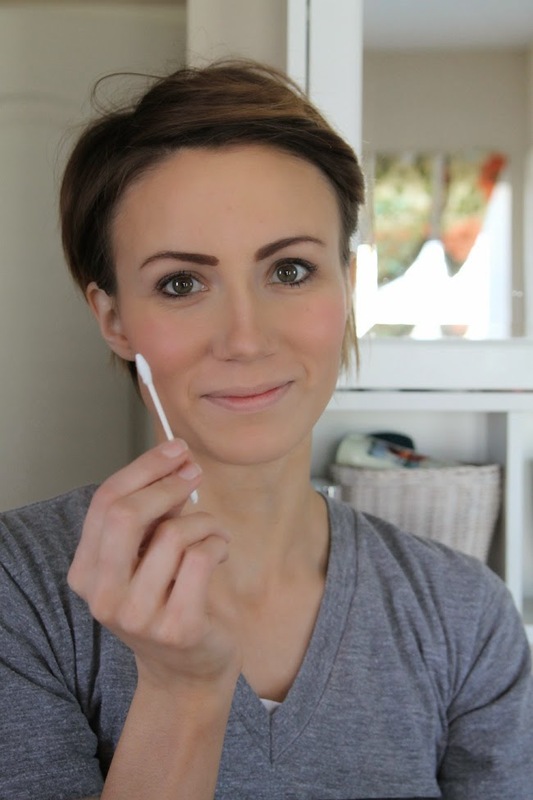 These new Q-tip cotton swabs have tapered ends which make them a great tool for eye makeup application and touch ups. They are also soft and flexible which is perfect for eye makeup application. 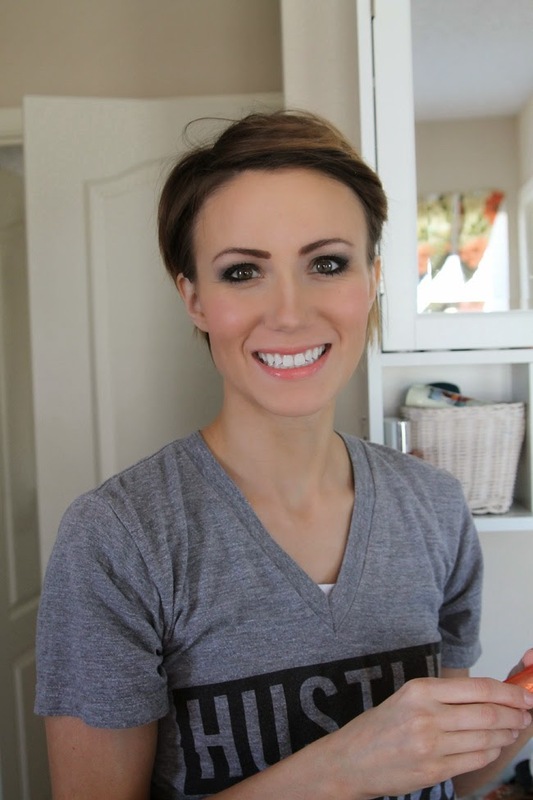 This tutorial starts after you have applied your base- foundation, bronzer, concealer and blush. (Next week I'll share all about how I apply my base so stay tuned.) 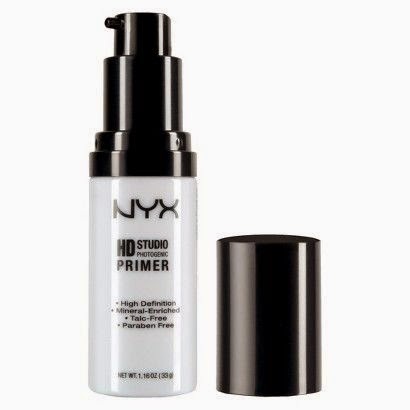 After you have applied your base, apply your primer to your eyelid. I always spread a little on my brows as well. Less than a pea sizes amount will do. Next you'll draw in your brows. You may only need to fill yours in a little, but I need to add quite a bit to make a substantial eyebrow. I start with a well sharpened pencil and carefully draw my arches and fill them in lightly. As you can see filling in sparce brows can make quite a difference! Afterwards I'll go back with my brow brush and a light brown brow powder to really fill in my brows and set them. 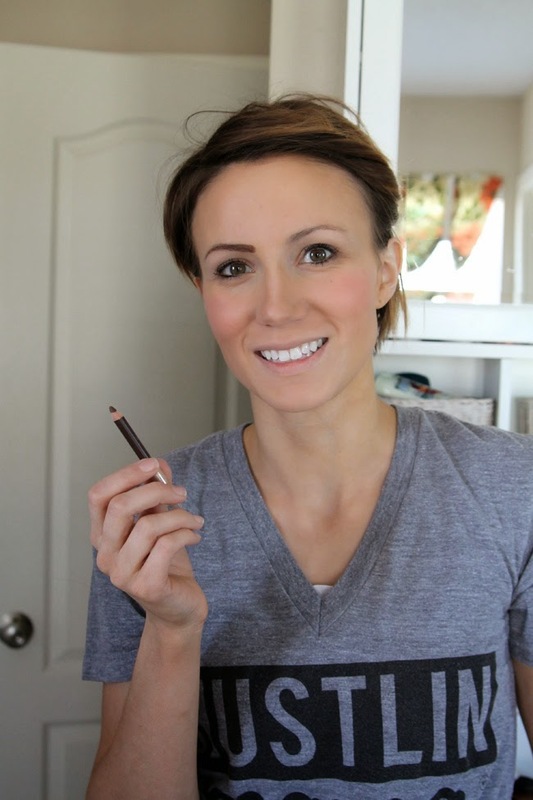 Sometimes my pencil or my powder will wander a bit when I am doing my eyebrow makeup. Precision Q-tips are a great tool for going back in to remove any excess and clean up the arches. The tapered end allows for a really nice clean line on the arch of my eyebrow. After you draw and fill in your eyebrows, you'll be moving onto the shadow. I love a light, shimmery highlighting shadow for everyday and evening wear. 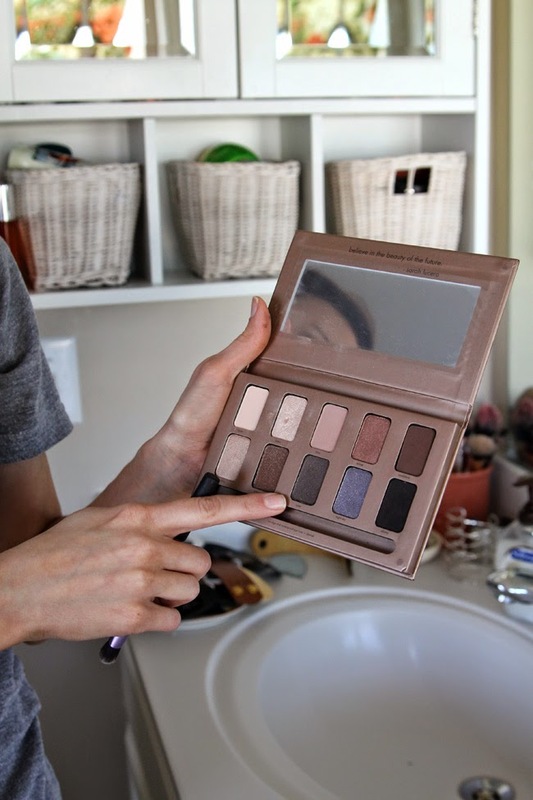 You can see below that I chose the lightest in my palette and I apply it to my brow bone as well as the inner corner of my eyes. This highlight really brightens up the eye and the whole face. Next I need a mid-tone shadow for the base of my eyelids. 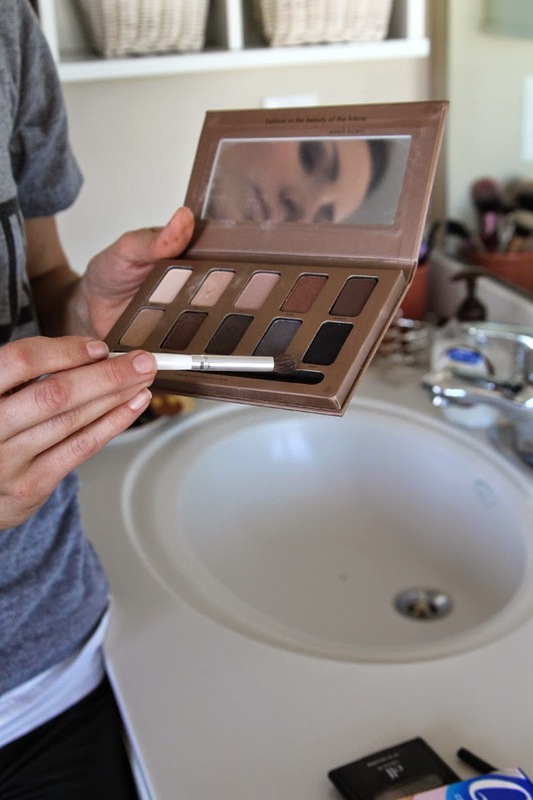 I chose this gray/brown shadow and used my base brush to apply it across the entire lid. Next you'll be using the black shadow. I like to use the crease brush to apply this dark color to only the outer crease and outer third of my eyelid in a 'C' shape. 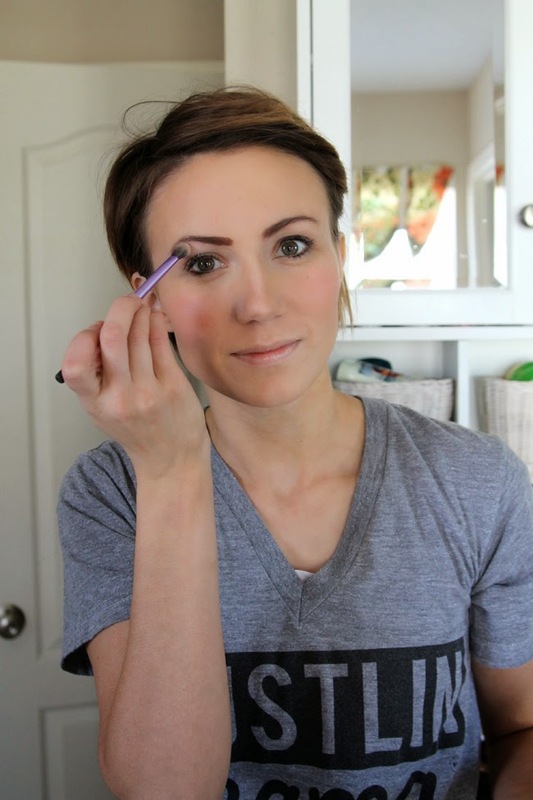 I also use a smaller brush to lightly smudge the black shadow under my eye on the outer half of my lower lash line. Next you'll want to go back to the lighter side of the palette to apply a ligher, shimmery powder to the inner third of your eyelid. This adds dimension and really makes your lids pop. You can see all of the shadows on the lids below. Next it's time for the most important part- blending! Grab a clean brush to blend your eye shadow. You don't want any harsh patches or lines or uneven color. 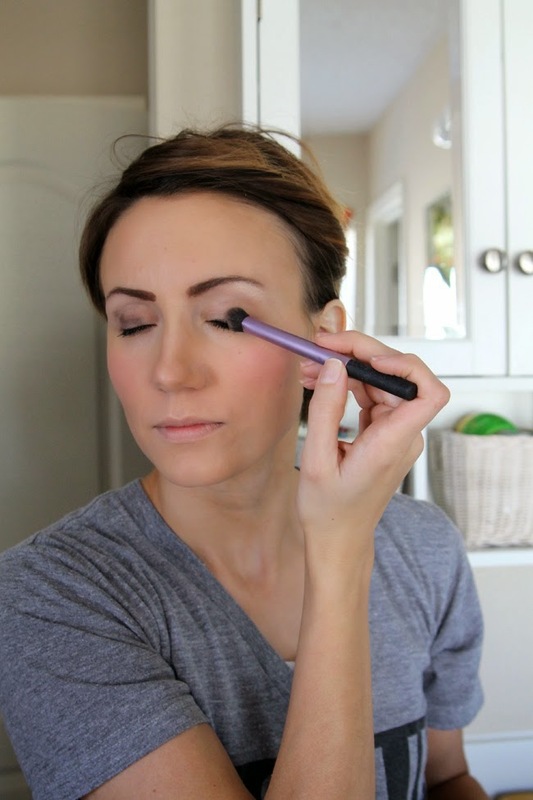 Just use your clean brush to blend those away for a flawless eyelid. You could stop here- but when I go for a dramatic eye- I really go for it. Pull out your eyeliner and line your upper and the outer half of your lower lashes. Also, fill in your waterline with liner. I told you this is dramatic! Below you can see the left eye has eyeliner and the right does not. Next it's clean up time. With all of that dark shadow there is bound to be fall out under your eyes. 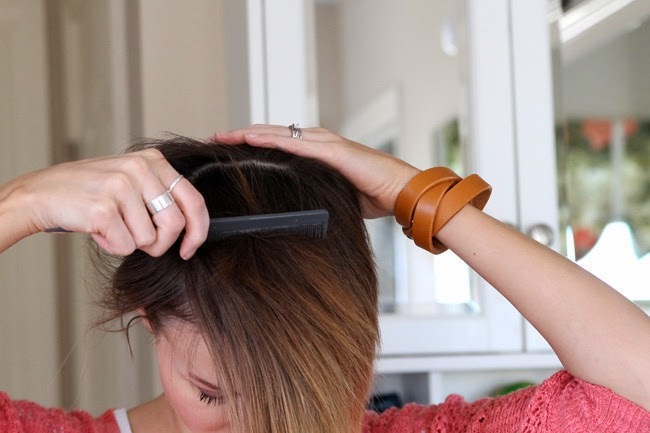 Use a fresh Q-tip cotton swap to clean up the excess powder. Use the other end of the Q-tip cotton swap to smudge your lower liner for a slightly smokey eye effect and to finish off the look. Almost done! Now add 2-3 coats of your favorite mascara, allowing time for each coat to dry in between. This will allow the lashes to build- you want them to be long! And the look wouldn't be complete without some lipstick. 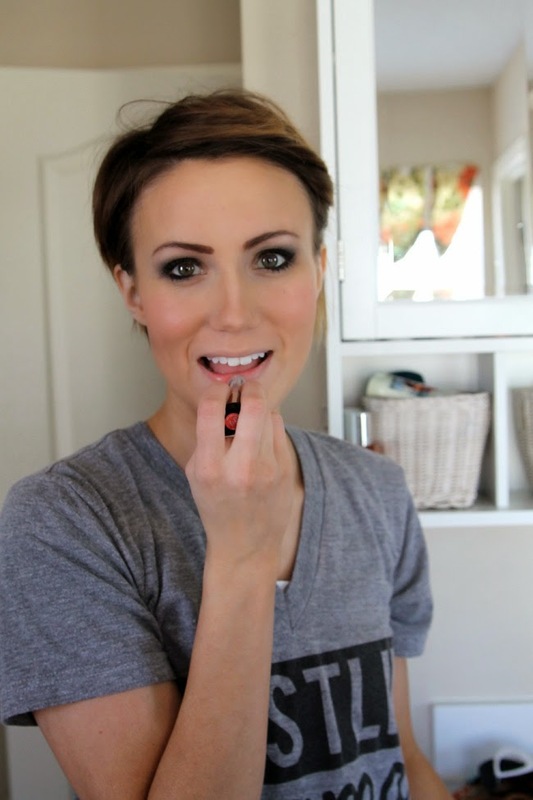 I grabbed my hubby's favorite coral lipstick and swiped some subtle color across those lips. And that's it! You've got a dark, smokey eye that is dramatic as you want it to be. After using the Q-tips Precision tips for this tutorial, I was really impressed with how easy and useful they were. 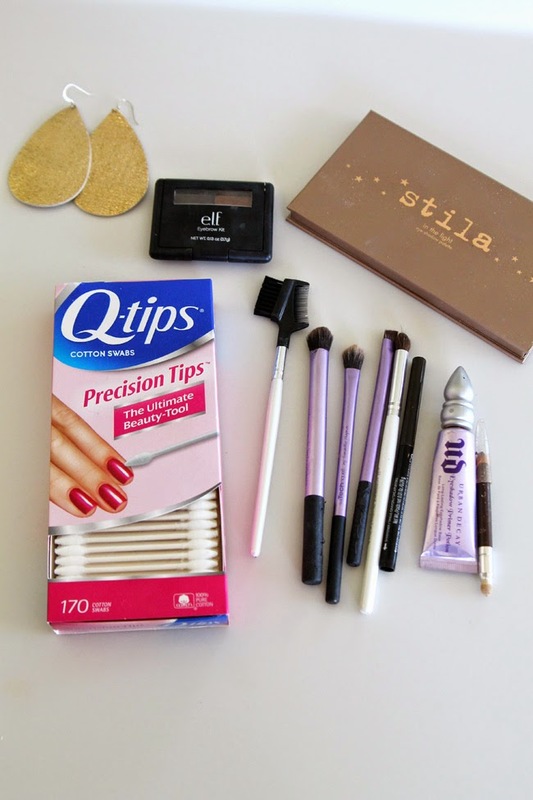 Get more ideas for how to use them for nails, eyes, lips and more on Q-tips Pinterest Boards. Let me know in the comments or email me if you have any questions about the tutorial. I can't wait to see your red carpet, hot date, GNO makeup! After Christmas, I spent some of my gift money on some new makeup. Between styling my new cut and just being interested in finding a few new favorites, I headed to Sephora and went to work. 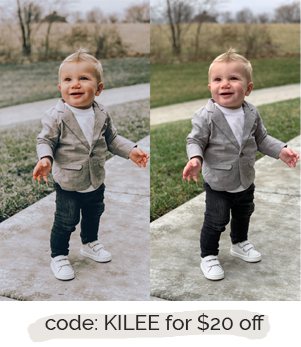 You may have seen what I picked up on Instagram. but today I wanted to share a little bit about each product since using them for the last 2 months. 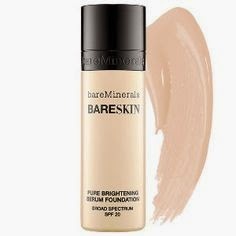 I have to admit this was my first experience with foundation that wasn't from the drug store. I had heard good things and decided to try it out. When I bought it, I had them color match my skin at the store and that worked well. Because of the cost, I had pretty high expectations. And I have mixed feelings. I do like it and I think the long term use has brightened my skin. 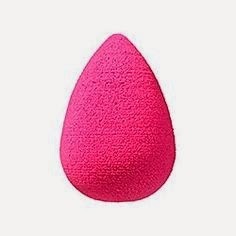 I apply it with a damp beauty blender and I feel like it covers well. What I don't like is that I feel like it settles into my wrinkles and makes them stand out a little more. (Which is a bummer.) It definitely provides a bright finish to my skin and I'm happy to finish the bottle. 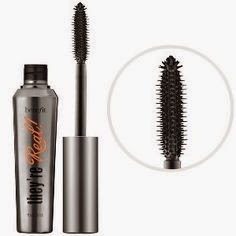 Aside from 3D Fiber Lashes, this was also the first high end mascara I have tried. I have a big affinity for Cover Girl Lashblast and I'm not sure this one swayed me from it. I like that it builds well, but I think Lashblast builds length and volume just as well with a few coats. I know everyone loves this one, but I think I'll go back to Cover Girl and Fiber lashes after this tube. This tool has been a great addition to my makeup kit and I definitely recommend it. Soren bought be this "real" on and a knock-off for Christmas and having tried both- the real thing is worth it. The foam is less dense in the real thing and it applies makeup and blends it very well. 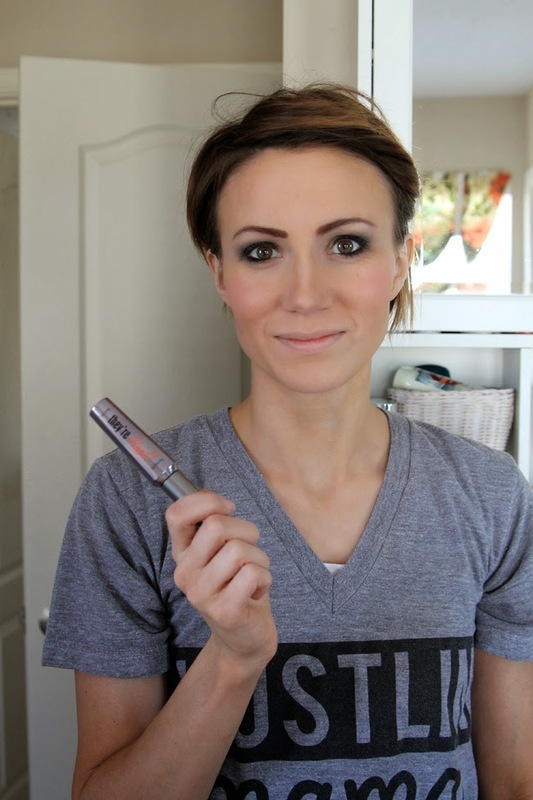 The knock-off was more dense and I felt like it soaked up my makeup without giving it back. It wiped it off more than it applied. So add this one to your wish list and get the real thing! I feel bad being such a downer today- but this one is a no too. I don't notice a difference when I use it and for $14 it should do a decent job. I plan on investing in the Urban Decay primer when I get a chance. I already use the eyelid primer and it's gold! My Maskcara Cosmetics came this week and I'm loving playing with them. They are for highlighting and contouring and so far so good. Cara knows what she is doing and this stuff is so good. I have a makeup tutorial using my previous highlighting and contouring make up coming soon, but after that I'll also share how I now use Maskcara cosmetics to get the job done. Stay tuned for more beauty tutorials- they take a lot of work, but I know they are helpful to you! I'm all kinds of behind schedule today. Kesler was up crying all night with an ear infection so of course I was up crying all night too. Ok, maybe not crying, but I was up. My big plans of finishing Sunday's style post last night were tossed out the window and here we are. Sunday Style on Monday. I don't know about you but this time of year is just frustrating. I'm ready for warm weather, but it's no where to be found. So to ease that pain I'm looking at all kinds of Spring clothing, which leads to buying things because there is nothing like a package to brighten a cloudy 10 degree Missouri winter day. This cardigan and these booties are two purchases I've made recently that can be worn now and will transition perfectly into Spring. The cardigan is cozy, but light colored and the boots are still boots, but with a cut out. What Spring purchases are you looking at? Do you love retail therapy by mail as much as I do? 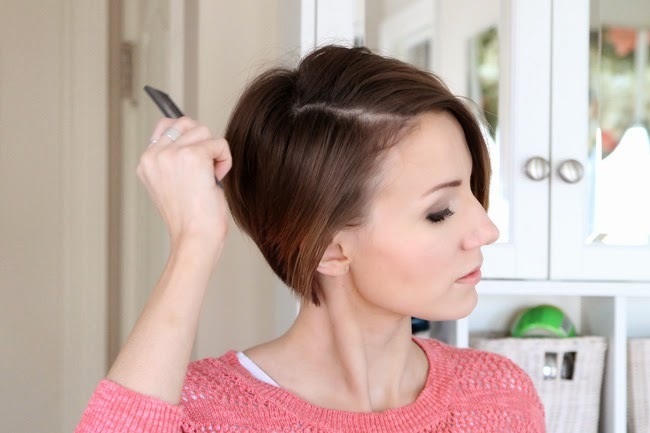 Today I'm sharing a tutorial for my favorite way to style my hair since cutting it into a long pixie- curled with a flat iron. With my hair this short I have found that my hair works best on a schedule. The first day (the day I shower and dry it) is the worst. My hair is too clean and flat. The second and sometimes third day I will style it straight. I curl it on either the 3rd or 4th day and that is when it seems to do best- when it's really dirty. 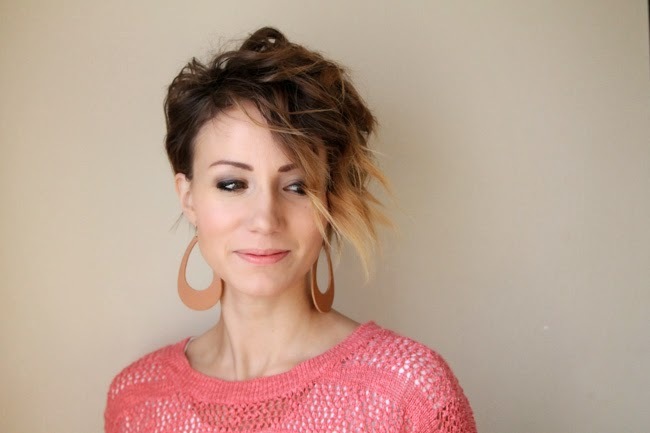 This curled pixie tutorial is based on Whippy Cake's video and also my Loose Curls for Short Hair tutorial and video. Ok- so you can see my before pictures. Dirty and straight hair, full of product from previous days. 2. Next spray Spoil Me on the ends of your hair. 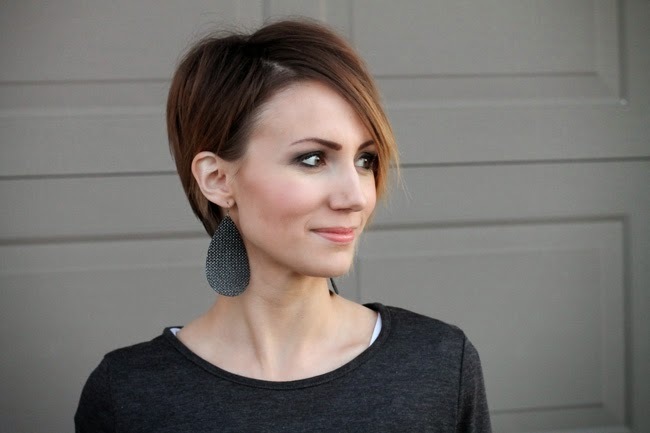 This adds shine and combats the dryness that dry shampoo can create in your hair. Somehow the combination of dry shampoo and Spoil Me kind of reset your dirty, unwashed hair. If your hair ever looks dried out or flat- a little of this adds a tiny bit of shine and smooths it. 3. Wait 2 minutes for the dry shampoo to work it's magic and then comb through all of your hair. 4. Next make your side part. 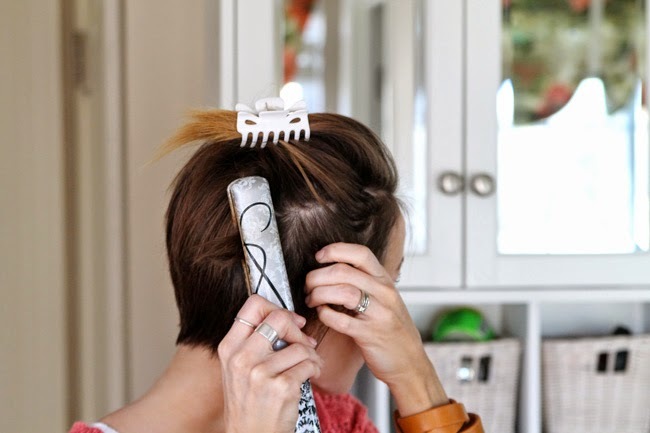 Decide how deep and what angle you want and use your comb to separate the hair. 5. Then part your hair across the crown of your head. You'll be curling forward whatever is ahead of the part and then back whatever is behind it. 6. Use a clip to hold back that top section so you can start working on the bottom layers. 7. My hair is deeply parted so when I curl the underneath layers, one side has twice as much hair to curl. It doesn't matter which side you start on, but I start on the side with less hair. I like to curl my hair mostly away from my face so curl the front peice away from your face with the flat iron. 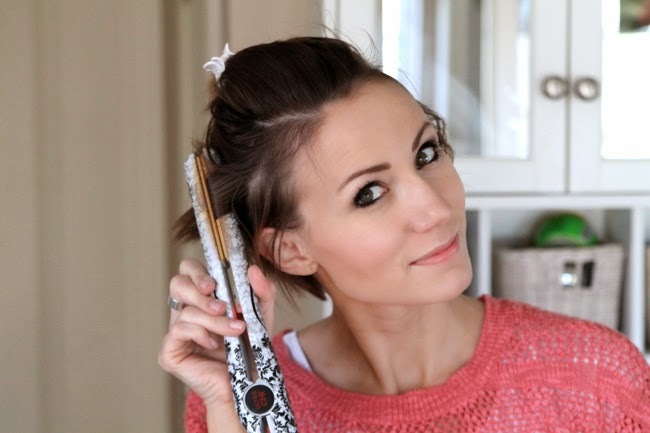 Try and get the flat iron as close to your head as possible and curl it down. You don't want a ton of volume on these curls and they'll stick straight out from your head if you don't pull down while you curl. 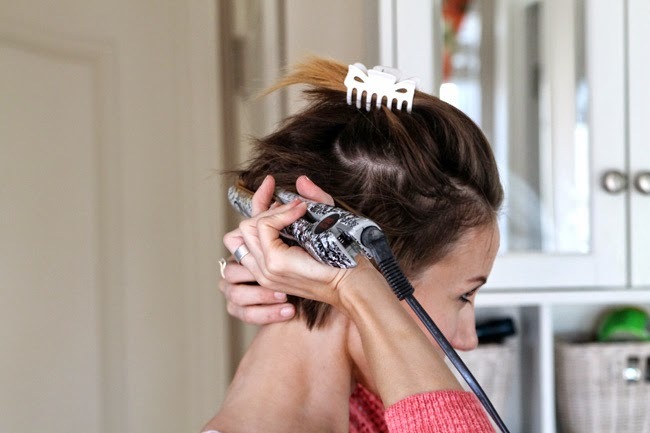 Be sure to leave out the end of the peice of hair as you curl it. You don't want ringlets- you want a curl near your scalp and then the end to be left straight. 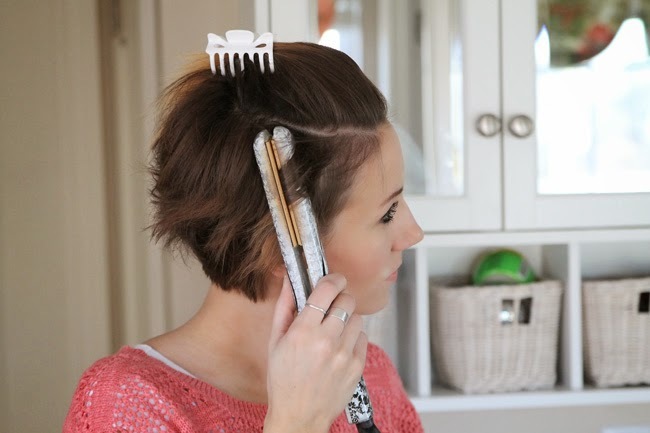 Place the flat iron as close to the root as you can get and then slowly twist the flat iron as you pull it down the section of hair. You can see this in action in my curling video. 8. Alternate curling sections toward and away from your face on these bottom layers- still pulling down as you curl. 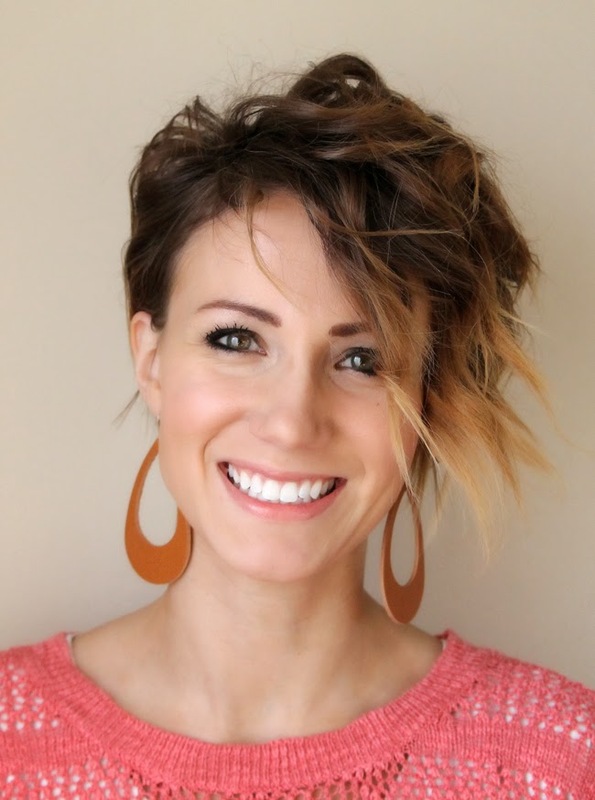 If you have never curled with a flat iron before, it takes some practice- but it is my favorite way to get curls with short hair. 9. After you have curled the bottom layers of both sides, it's time for the important part- the top. Un-clip it and let it fall forward. 10. 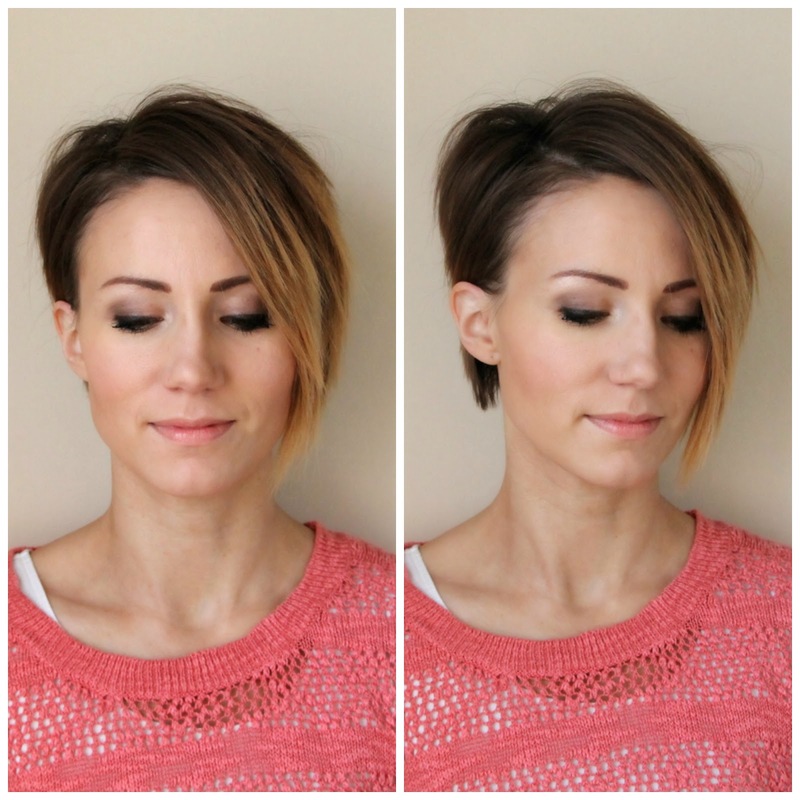 Comb your top section forward, toward your face and section off a piece from the very back. I can get two rows of curls in this top section so take a piece from the back left (or whatever side is nearest to your part). Curl it toward your face and forward. Take the section next to it (the back right) and curl it toward your face. These curls should be curled opposite to each other. 11. Move up a row and curl the left side toward your face again. The direction of the curl should be toward your face and the curling motion should be forward. 12. 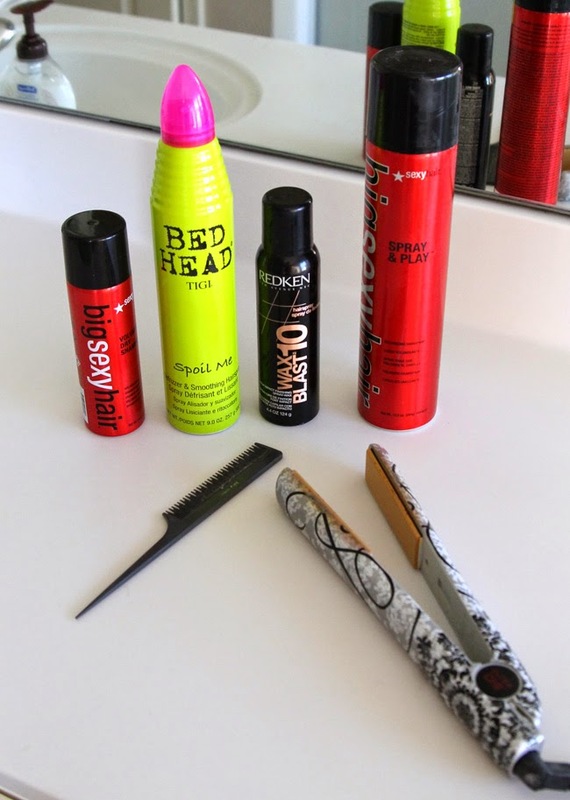 Pick up the right section next and instead of curling it towards your face, curl it away- like you see above. 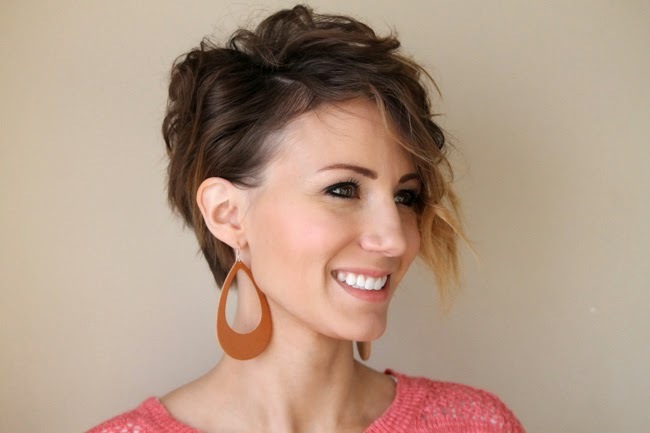 From this point forward most of your hair will be curled away from your face on only the dominate side- not both. As you can see the what I changed is the direction of the curl, but the section is still angled toward the front of my head. You want your curls to fall forward but twist away from your face. 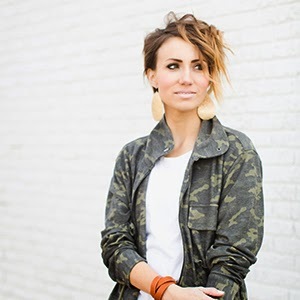 Continue to take sections and curl them away from your face on the one side- but every 2-3 curls, curl on the opposite direction. The key is to have some variation in there so that the curls don't all cling together in the same direction. 13. Near the part I like to curl a few sections away from my face on the non-dominant side. Then I'll twist them to stay on the heavier, dominate side of the part. They add dimension and variation in just the right spots. You can see this in the photo above where there is one curl on my right side that is curling away from the others. After I finish curling I'll twist that back over to the dominate side of the part whereas in that picture my part is not visible. 14. Continue curling until you have curled all of the top section. I usually have about 10-12 pieces to curl. 15. Next you'll need to curl the back. My back is pretty short so there isn't a lot there to curl, but I try to curl it under or give any of the longer pieces a little curl. 16. Now you can see what the top looks like. Its a little bit of a mess with curls going in a lot of directions- which is just what you want. 17. Use your fingers to move sections around a bit and look for places to touch up. It's okay if every single piece of hair doesn't get curled- it actually added to the messy look a bit. 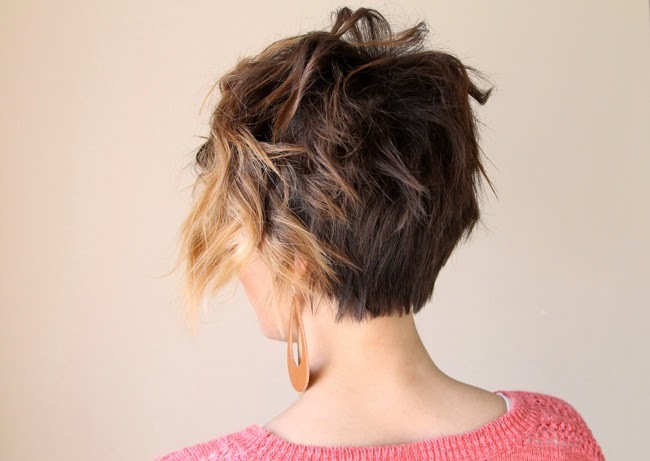 But sometimes you'll want to re-curl a section or switch it's direction for looks. Or sometimes a piece will get curled to much and you need to flatten out the end a bit. 18. After you get it arranged a bit and touched up, spray your spray wax on the ends. 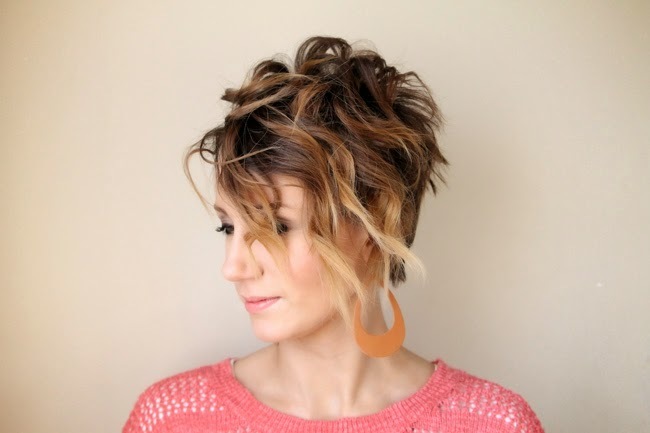 Be sure not to get the roots because it will weigh down your hair, but give the ends of the curls a good dousing. This will provide a majority of your hold. 19. 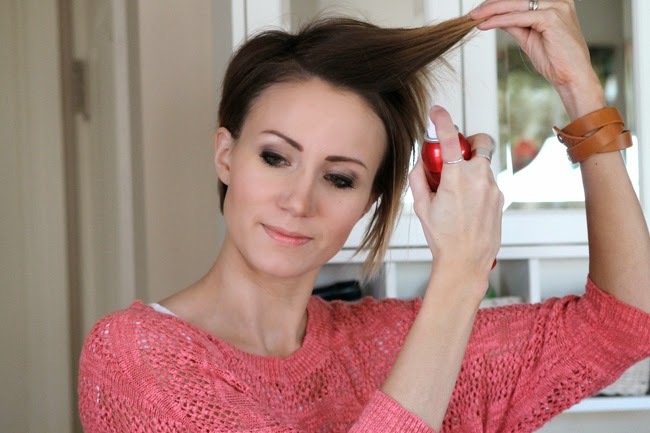 I then use my hairspray on the roots and all over for a little more hold and volume. And that's it! The curls will loosen up a bit during the day- which is good- and sometimes I can even get this style to go one extra day. All I do is refresh it with dry shampoo and Spoil Me and touch up a few curls. Also every time I curl my hair it turns out a little differently depending on how long I have and how messy or perfect I want it. The key is curling the top and it takes a little practice. So give it a try and don't give up! 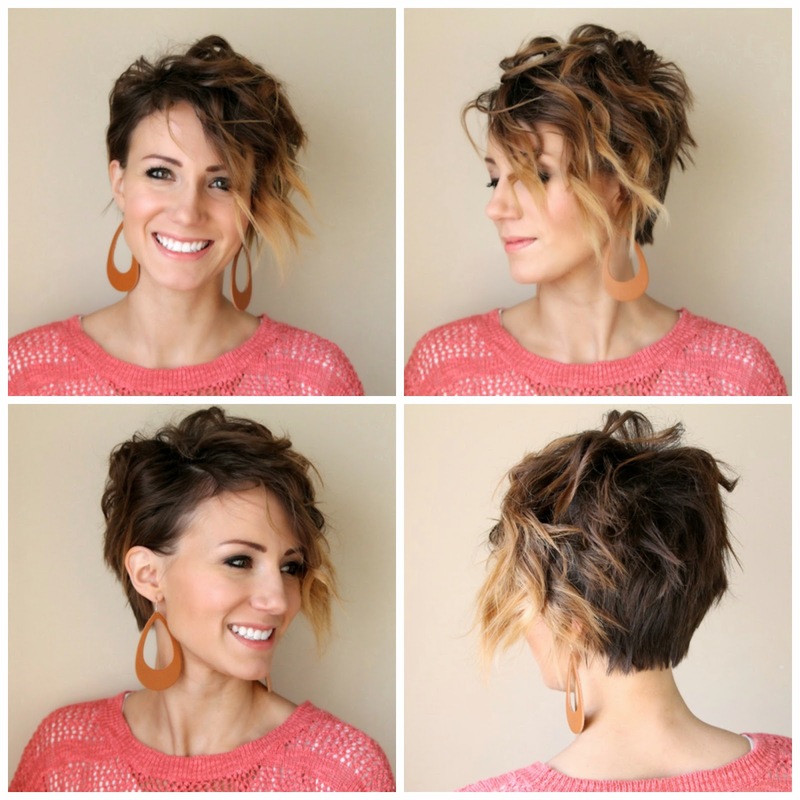 You'll love this style! Thanks for enduring all the photos- I know it was a lot, but because this isn't a video tutorial, I think more is better! I can't wait to see how your hair turns out so be sure to tag me on Instagram with your new curled style!